Upgrade your knowledge – and your résumé – with high-quality telecom training courses by Teracom Training Institute plus optional TCO Certification from the Telecommunications Certification Organization. Get the knowledge you need plus certification to prove it! Based on Teracom's proven instructor-led training courses developed and refined over more than twenty years, Teracom online courses are top-notch, top-quality and right up to date with the topics and knowledge you need. Three course covering the full range of wireless technologies from fundamentals to LTE. Six courses covering everything VoIP and SIP. Sixteen courses covering the full range of telecom. Certified Telecommunications Subject Matter Expert: Get all four certifications CTNS, CWA, CVA and CTA, hand-signed and sealed certificate, and save $300! Our emphasis is conveying the key concept-level knowledge in plain English - which you can't get reading trade magazines or talking to vendors. We'll bust the buzzwords, demystify the jargon, explain the technologies, the underlying ideas... and how it all fits together. 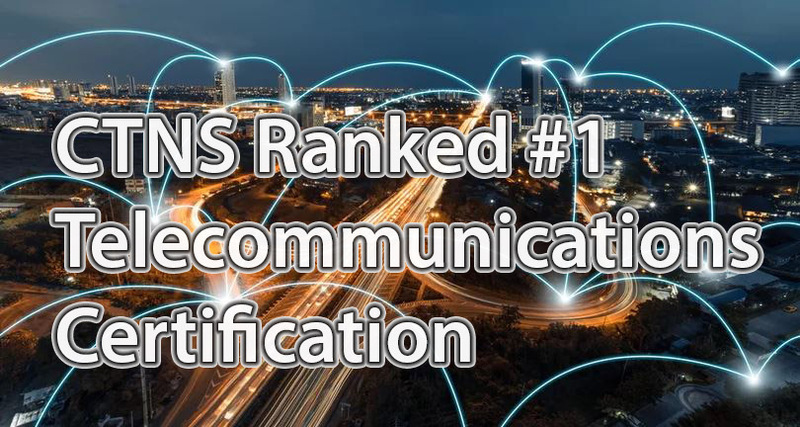 At this level of commitment, access and efficiency, you won't find a better, more in-depth and reputable telecom training and certification course of study. Happy Customer. The Teracom training courses I took were much better than I had expected. The production of the training materials was high quality and edited well. The instructor spoke clearly, had appropriate teaching aids, and conveyed technical material in a way that was easy to understand. The instructor also injected the right amount of humor to keep me engaged. I would highly recommend Teracom for training. All employees use Teracom as part of their onboarding. Great information! I have a staff of recruiters who specialize in recruiting telecom professionals. We found Teracom's training to be very helpful so they understood the telecom basics and could better qualify potential candidates. I have done three certifications with Teracom (CIPTS, CWA, CTNS). The content of all three courses was excellent as it also covered the reasons for technological changes and evolutions. Since I work in the IT industry on the project management side for many years these courses were a perfect complement to my overall IT knowledge. I can now speak to engineers and technicians more on the same frequency and can provide better consultancy to my customers. I feel the courses are also priced fairly and are fun to watch and study. Enjoyed the courses. Helped me get a new job. TCO Certification Packages are sets of Teracom courses plus TCO exams and certification at a discounted price. Teraom's exclusive Unlimited Plan gives you unlimited repeats of courses and exams: guaranteed to pass, and refresh your knowledge anytime in the future. Our GSA Contract GS-02F-0053X for supplying this training to the US Government is your assurance of quality and value. 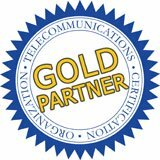 Get a telecommunications certification from the Telecommunications Certification Organization (TCO), a Certificate suitable for framing plus – another Teracom exclusive – a personalized Letter of Reference for your résumé detailing the knowledge your TCO Certification represents and inviting the recipient to contact Teracom for verification. Buy with confidence! 30-day money-back guarantee. The CTNS Certification Package includes six courses plus the TCO CTNS Certification Exam, Certificate and Personalized Letter of Reference. These courses will give you the core knowledge needed in telecom today, plus a certificate to prove it! Unlimited repeats of exams and courses. 30-day no-questions-asked 100% money-back guarantee. Purchase the courses in this set of six, or individually as best meets your needs. It all begins with Plain Ordinary Telephone Service and the Public Switched Telephone Network. In this course, you'll build a solid understanding of the fundamentals of the telephone system: Customer Premise and Central Office, loops, trunks, remotes, circuit switching and how a telephone call is connected end-to-end. We'll cover LECs, CLECs and IXCs, sound, analog and the voiceband, twisted pair, DTMF and SS7. Based on Teracom's famous Course 101, tuned and refined over the course of 20 years of instructor-led training, we'll cut through the jargon to demystify telephony and the telephone system, explaining the jargon and buzzwords, the underlying ideas, and how it all works together… in plain English. In this online telecommunications course, we begin with a history lesson, understanding how and why telephone networks and the companies that provide them are organized into local access and inter-city transmission, or as we will see, Local Exchange Carriers (LECs) and Inter-Exchange Carriers (IXCs). Then we will establish a basic model for the PSTN and understand its main components: Customer Premise, Central Office, loop, trunk, outside plant, circuit switching, attenuation, loop length, remotes, and why knowledge of the characteristics of the loop remains essential knowledge even though we are moving to Voice over IP. Next, we'll cover aspects of telephony and Plain Ordinary Telephone Service, including analog, the voiceband, twisted pair, supervision and signaling including DTMF. The course is completed with an overview of SS7, the control system for the telephone network in the US and Canada. The objective of this course is to develop a solid understanding of mobile communications networks and technologies. We'll cut through the jargon to demystify wireless, explaining the fundamentals of cellular and mobility, the buzzwords, the network, technologies and generations, the underlying ideas, and how it all works together... in plain English. Most of this course is devoted to mobile communications. We begin with basic concepts and terminology including base stations and transceivers, mobile switches and backhaul, handoffs, cellular radio concepts and digital radio concepts. Then, we cover spectrum-sharing technologies and their variations in chronological order: GSM/TDMA vs. CDMA for second generation, 1X vs. UMTS CDMA for third generation along with their data-optimized 1XEV-DO and HSPA, how Steve Jobs ended the standards wars with the iPhone and explaining the OFDM spectrum-sharing method of LTE for 4G. This course is completed with a lesson on WiFi, or more precisely, 802.11 wireless LANs, and a lesson on satellite communications. 1. Introduction Course introduction and overview. Basic radio principles, analog and digital over radio. All choices come with a 100% Money-Back Guarantee: full refund within 30 days. This course begins the "IP courses" in the Certified Telecommunications Network Specialist (CTNS) certification package. The OSI 7-Layer Reference Model is used to sort out the many functions that need to be performed, to be able to discuss separate issues separately. The functions are organized into groups called layers, which are stacked one on top of the other. This allows us to relate different pieces of the puzzle in subsequent lessons. Based on Teracom's famous Course 101, tuned and refined over the course of more than 25 years of instructor-led training. You'll learn what a layer is, what the layers are, what each one does and examples of where things like TCP fit into the model ...and how it all works together… in plain English. This course establishes a framework for all of the discussions in subsequent lessons and courses: the OSI 7-Layer Reference Model, which identifies and divides the functions to be performed into groups called layers. 2. Open Systems Open systems vs. proprietary systems. Build structured, broad knowledge of networks - understanding that lasts a lifetime. Stand out from the crowd! Based on Teracom's famous Course 101, tuned and refined over the course of more than 25 years of instructor-led training and counting. We'll cut through the jargon to demystify Ethernet, MAC addresses, LANs and VLANs, explaining the jargon and buzzwords, the underlying ideas, and how it all works together… in plain English. In this course, we'll examine technologies for connecting machines, called LANs. Originally, devices were connected to a cable to form a LAN segment. Today, devices are connected to an Ethernet Switch, a.k.a. Layer 2 or LAN switch. This technology, frames, MAC addresses, broadcast domains and VLANs, migrated from in-building applications to the telecom network. Carriers' networks are today built with point-to-point fiber connecting Layer 2 switches in different buildings. Fulfilling the goal to use the same technology for access circuits and services as in the core of the network, LAN technology is now used for 40 Gigabit/sec service using Optical Ethernet to large office buildings and 10+ Mb/s fiber-based services to businesses. Based on Teracom's famous Course 101, tuned and refined over the course of 20 years of instructor-led training, we'll cut through the jargon to clearly explain IP and routers, packets and addresses, the underlying ideas, and how it all works together… in plain English. This course could also be called "Layer 3", as it is all about Layer 3 of the OSI model: the network layer, and in particular, IP packet networks. Packet networks embody two main ideas: bandwidth on demand and packet switching. First, we'll recap channelized TDM and its limitations, then understand statistical TDM or bandwidth on demand. Next, we'll understand how routers implement the network with packet switching, that is, relaying packets from one circuit to another, and how routers are a point of control for network security. We'll introduce the term Customer Edge (CE), and understand the basic structure and content of a routing table. Then we'll cover the many aspects of IP addressing – needed to be able to do the packet switching: IPv4 address classes, dotted decimal notation, static vs. dynamic addresses, DHCP, public vs. private addresses, Network Address Translation, and finish with an overview of IPv6 and IPv6 address allocation and assignment. 5. Routers Routers and routing tables. Packet forwarding and packet filtering. Customer Edge. 6. IPv4 Addresses Address classes and dotted-decimal notation. Understand the whole IP story, including routers, packets, addresses, DHCP, NAT and IPv6. What's not to like? We'll cut through the buzzwords and marketing to demystify carrier packet networks and services, explaining Service Level Agreements, traffic profiles, virtual circuits, QoS, Class of Service, Differentiated Services, integration, convergence and aggregation, MPLS and other network technologies, and how they relate to TCP/IP without bogging down on details. * Lessons on these legacy technologies are optional, included for reference for anyone who needs to know about them. They are not on the final exam. Feel free to skip these lessons. Based on Teracom's famous Course 101, tuned and refined over the course of over 25 years of instructor-led training, you will gain career- and productivity-enhancing knowledge of the structure, components and operation of carrier packet networks and services, how they are implemented, packaged and marketed by carriers and how they are used by government, business… and other carriers. MPLS and Carrier Networks is a comprehensive, up-to-date course on the networks companies like AT&T build and operate, how they are implemented, the services they offer, and how customers connect to the network. This course can be taken by those who need just an introduction to carrier networks and MPLS, as well as by those who need to build a solid base on which to build project- or environment-specific knowledge. In the previous course, we used a private network, i.e. dedicated point-to-point circuits connected with routers, as the simplest framework for understanding packets, bandwidth on demand, routers, and network addresses. In this course, we will take the same idea and apply it again at the carrier network level: replacing the dedicated lines with bandwidth on demand service from a carrier between the customer locations. We'll spend much of this course understanding a powerful traffic management tool called virtual circuits, how they are implemented with MPLS, and how MPLS can be used to provide differentiated services, aggregate traffic and implement convergence. 15. MPLS Service vs. Internet Service Similarities and differences, pros and cons. The Future. *Lessons on legacy technologies X.25, Frame Relay and ATM are included for anyone who needs to know about them. Feel free to skip these lessons; their content is not on the exam. The CWA Certification Package includes three courses, CWA Certification Exam, TCO Certificate and Personalized Letter of Reference. These courses cover the full range of wireless fundamentals, jargon and technologies, giving you the knowledge required in the wireless business today, plus a certificate to prove it! Purchase the courses in this set of three, or individually as best meets your needs. Wireless Fundamentals is the first course in the CWA Certification Package. We begin with the basics: what radio is, how it's organized and how and it's used to communicate information. We begin by understanding what radio actually is, and why we use it for communications. We'll understand how radio frequencies are in the Gigahertz range, used within frequency bands measured in the Megahertz wide. Then we will look at the spectrum, i.e. standardized bands of frequencies, how they are allocated and the need for licenses. You will learn which bands are used for what, from cordless phones to WiFi and cellular, including the new 700-MHz bands. Next, we'll understand how information is represented using radio. The first stop is a quick review of old-fashioned analog radio and TV, followed by what most systems use today: digital. We'll spend some time understanding digital, how 1s and 0s are communicated by modems and familiarize you with jargon and buzzwords like QAM and QPSK. We'll finish off with radio transmission issues, including propagation, penetration and fading. What is meant by "radio"
Transmission characteristics including propagation, penetration and fading. Course 2232 Mobile Communications is the second course in the CWA Certification Package. With a good foundation in place, we'll cover mobile communications from A to Z. This is where the money is! We begin with basic mobile network concepts and mobility terminology including base stations and transceivers, mobile switches and backhaul, handoffs and cellular radio concepts. Then, we cover spectrum-sharing technologies and their variations: FDMA, TDMA, CDMA and OFDM, the generations of technology 1G, 2G, 3G and 4G, and the technologies GSM, 1X, UMTS, HSPA and LTE. We'll understand how mobile Internet access is implemented for a smartphone, and how you can keep kids quiet on car trips by turning your phone into a mobile WiFi base station. Explain the difference between what cellphone carriers call "voice" and "data"
Explain mobile internet access via cellular. with unlimited repeats, Teracom Course Completion Certificate. Course 2233 Fixed Wireless is the third and final course in the CWA Certification Package. We'll round out your knowledge with wireless that does not support mobility, including the most important, WiFi, and other current technologies. We'll start with infrared and Bluetooth. Next is WiFi, more accurately called 802.11 Wireless LANs. We'll explain how WiFi works, and survey the different variations like 802.11a, 802.11b, 802.11g, 802.11n, 802.11ac and more. Then we'll cover the crucial issue of security on WiFi and why you want the WPA-2 Personal standard. We finish off with point-to-point microwave systems, and satellites: Low Earth Orbit (LEO) and Geosynchronous Earth Orbit (GEO) satellites and how they are used for voice and data communications. The differences in operation and application for LEO and GEO satellite communications. The CVA Certification Package includes six courses, the CVA Certification Exam, TCO Certificate and Personalized Letter of Reference. Unlimited repeats of exams and courses: guaranteed to pass, refresh your knowledge anytime. CVA covers all major VoIP, SIP and IP telephone system topics: VoIP equipment, the ways VoIP is implemented, packetized voice fundamentals, sound quality with sound samples, MPLS, SLAs and CoS, SIP, SIP trunking and more. These courses build on IP and PSTN fundamentals. If you are completely new to telecom, we recommend you take the CTNS courses first to build a knowledge base, then the CVA courses. It also serves as a first pass through topics that are covered in greater detail in subsequent lessons. - UDP and TCP. How TCP works. All choices come with a money-back guarantee: full refund within 30 days. Progressing from talking between computers over the Internet through Internet telephony, Managed IP Telephony, PBX enhancement, PBX replacement with call manager / softswitch systems, IP Centrex, Hosted PBX and Cloud Services, you'll gain the knowledge to confidently differentiate VoIP architectures and discuss pros and cons of options. Based on Teracom's famous Course 130, tuned and refined over the course of over 20 years of instructor-led training, you will gain career- and productivity-enhancing knowledge of all of the different things someone could mean when they say "Voice over IP", and the pros and cons of each. The pros and cons of cloud-based softswitch services, sometimes called "Hosted PBX"
You'll learn about codecs and compression, and understand factors like delay, jitter and packet loss, what causes them, and how they affect sound quality. Sample sound clips with lost packets and uncorrected timing variations are included in Lesson 9 so you can hear the effects. You'll learn how the only way for a competitive carrier to terminate a VoIP phone call on a Local Exchange Carrier for the last mile is currently the switched access tariff, converting to DS0 channels using a gateway. We'll understand why this will be a native VoIP connection in the future, and the role of Session Border Controllers. Then we'll understand how a business system can connect to the PSTN using a gateway and PBX trunks, and the advantages of the newer SIP Trunking services for business to PSTN connection. How currently, the only way for a long-distance carrier to terminate a phone call on a LEC is via the switched-access tariff from the 1980s. You will learn how carriers use virtual circuits to manage flows of IP packets, and how MPLS is used to do this. You will understand the idea of Differentiated Services: different transmission characteristics for different kinds of traffic, and how these are implemented as Classes of Service (CoS). We'll cover Service Level Agreements and how "throttling" some users is sometimes necessary to ensure all users are getting the CoS they are paying for. We'll cover the Quality of Service (QoS) mechanisms MPLS and 802.1P and how Classes of Service are implemented by routers. These courses are the same courses used by the biggest telecom carriers in the business to train their employees - constantly updated to deliver the core technical knowledge required in the telecom business today. This is the best quality training of its kind available. Teracom online courses and certification packages are on our US Government supply contract... which took two years and a 200-page application... so you know you are getting quality. You are protected by Teracom's 30-day, no-questions-asked, 100% money-back guarantee. or to prepare for a job in the telecommunications business. The courses and their lessons can be done at your own pace. There are no time limits for completing a lesson and moving to the next one. The courses may be done in any order. These courses are a highly cost-effective and consistent way for managers to get team members up to a common speed with measurable results. The myTeracom Learning Management System provides management reports showing your team's progress with a few clicks of the mouse. Based on Teracom's proven instructor-led training courses developed and refined over twenty years providing training for organizations including AT&T, Verizon, Bell Canada, Intel, Microsoft, Cisco, Qualcomm, the CIA, NSA, IRS, FAA, US Army, Navy, Marines and Air Force and hundreds of others, Teracom online courses are top-notch, top-quality and right up to date with the topics and knowledge you need. Ideal for self-paced training, courses are divided into lessons. Stay on a lesson for as long as you like, and move to the next lesson then write the course exam only when ready. Team training packages with group discount and management reporting from our Learning Management System are very popular. With the Unlimited Plan, you can repeat exams as needed, and retake courses anytime in the future.